This section features restored historical fire apparatus in Marin County. In the future we will review what we know of other interesting apparatus used in our County over the years. See menu. 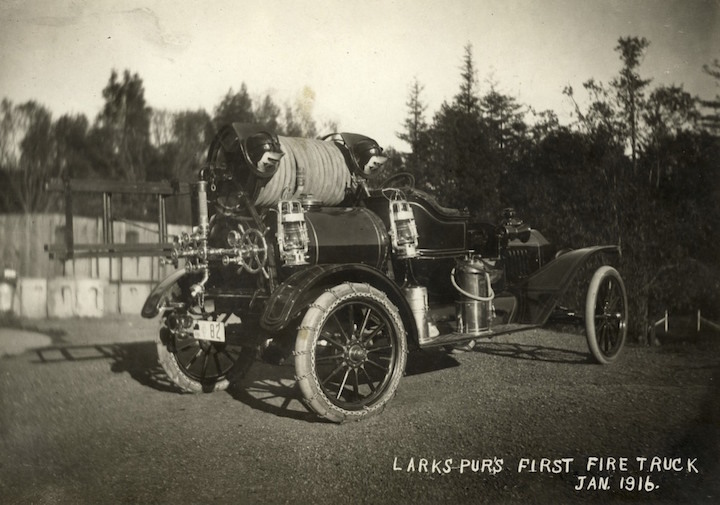 The original Ford Model T fire truck purchased by Larkspur in 1916. Note the chains on the rear tires, since most of the roads were dirt and could get quite muddy at times. The full story will be coming soon. 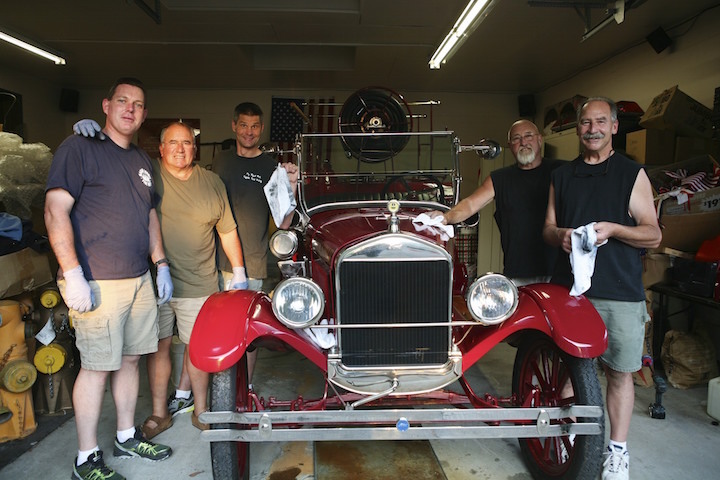 Members and a friend of the Larkspur Association of Volunteer Firefighters pictured cleaning the restored Model T a few years ago, in preparation for the annual Larkspur Corte Madera Fourth of July Parade. (l-r) Jamie Byrnes, Dennis Gilardi, Mike McDermott, unknown helper, Jeff Heath.